I now offer both In-Person and Distant Attunements by Skype, Face Time or Facebook. The second course and attunement is significantly more powerful and expands the student’s energy field and ability to draw in healing energy. It powerfully opens the energy channels in the student’s body which brings the healing energy to the student’s hands and greatly increases the power to channel energy, colour and light. It creates in the student the ability to shape the light and work with the light, as a manifestation of the essence. 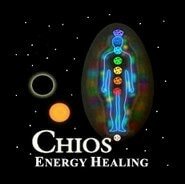 Topics covered: Introduction – The Chios® Symbols and Using the Symbols to Call in Energy – Simple Energetic Defects in the Aura and Chakras – Sensing the Condition of the Aura and Chakras Through the Reception of Psychic Information and Guidance – Learning to View the Aura – Assessing Treatment Needs – Sealing Leaks and Tears in the Aura – Aura Clearing – Unblocking Chakras – Aura Charging – Correction of Energy Flow – Additional Techniques in the Laying on of Hands – Learning to View the Chakra Colours – Beginning to Use Light in Healing – Ending Treatment – Level 2 Treatment Procedures Outline – Specific Treatment Suggestions for Disease. Note: In order to take Levels 2 you must first complete and pass Level 1.